Airs Monday, February 29. Check local listings for time. 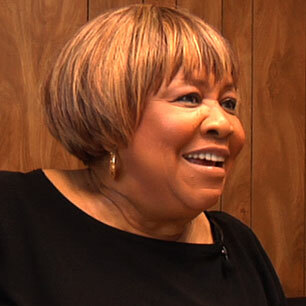 Most of all, Edwards’s documentary captures Mavis’s humility. There are no star tantrums, no turning to substance abuse, no re-emergence through holistic teaching that are such a part of music retrospectives today as to become cliché. 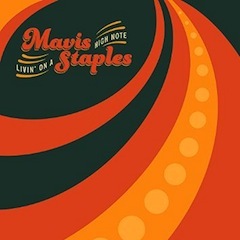 Just the opposite is true sixty years after her luminous lead on “Uncloudy Day,” Mavis still appears surprised to be the focus of so much adulation. It was Pops, she says, who instilled in his children the importance of humility. 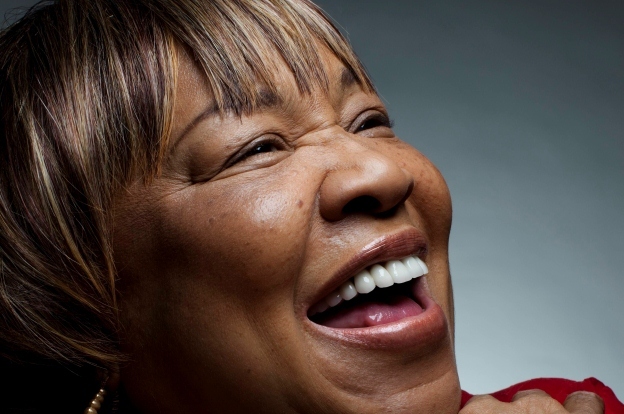 Indeed, it is Mavis’s everyday-people simplicity, as well as her deeply affecting alto, that enchant her audiences and certainly won over the viewing audience at DuSable. The live performances interspersed throughout the documentary received applause from the DuSable audience. Mavis Staples performs Bacharach-David’s ‘A House Is Not a Home’ on Soul Train, 1970s. Introduced by Pops Staples. 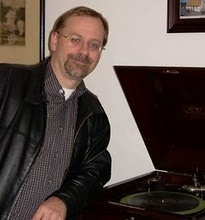 Edwards keeps the tempo of the film moving by incorporating an amazing array of interviewees, including Bob Dylan, Bonnie Raitt, Jeff Tweedy and Marty Stuart; and video clips, the most interesting of which are Prince producing Mavis and snippets of Staples home movies that show the group on tour.